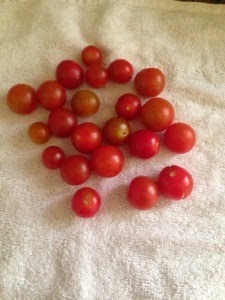 I had a lot of cherry tomatoes here, a soup seemed like a good way to put these tomatoes into use. 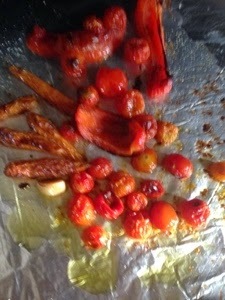 Found a recipe for Roasted cherry tomato and baby carrot on web and decided to make that. I made a few changes to the original recipe, including cutting it down to feed fewer people. Wash, and towel-dry carrots, tomatoes and pepper. 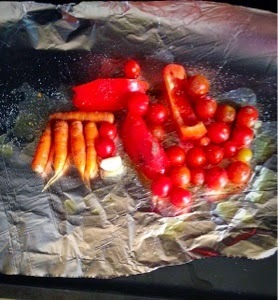 Line a baking tray with foil, and spread 1/2 tsp olive oil. 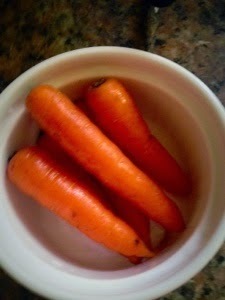 Place the tomatoes, carrots, garlic cloves and pepper. Sprinkle some olive oil, salt and pepper. 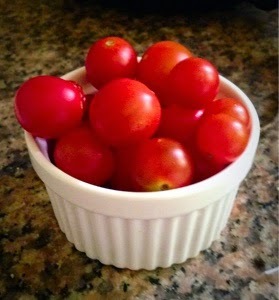 Bake in center rack, reducing the temperature to 220 degrees for 30 minutes, till the tomatoes break into juice. Cool and blend in a mixer to smooth consistency. 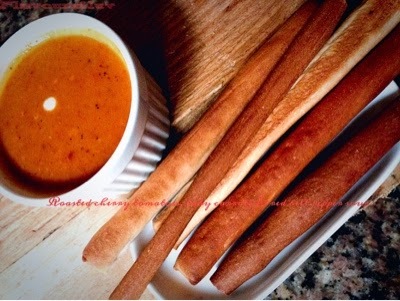 Remove in a saucepan, and add vegetable stock to thin. Adjust salt, and pepper.